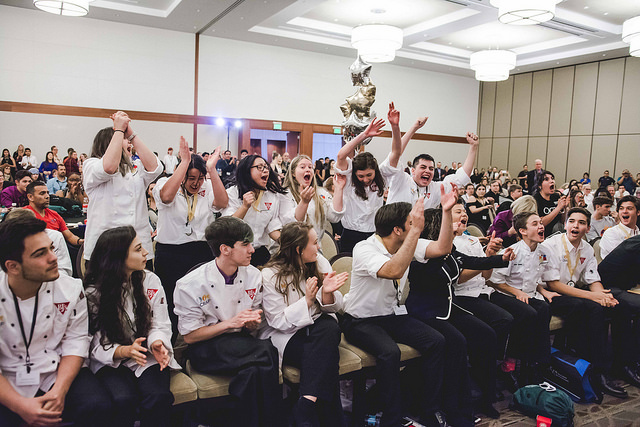 The state’s top student chefs, entrepreneurs and innovators went head-to-head in the 16th annual CA ProStart Cup presented by BJ’s Restaurants on March 18+19 at the Sheraton Fairplex Hotel & Conference Center in Pomona, CA. 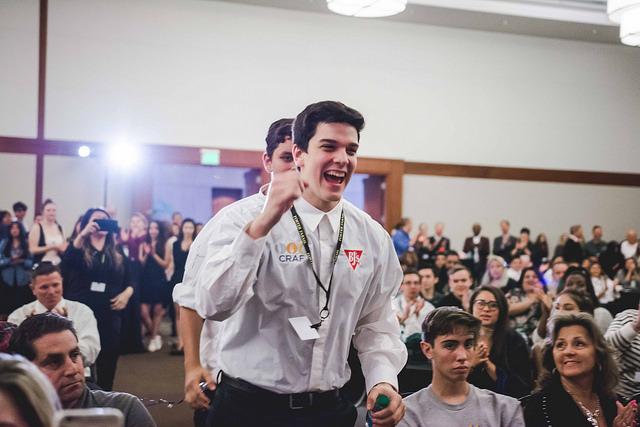 The competition was fierce as students competed for more than $2.3 million in available scholarships and the chance to represent California at the National ProStart Invitational April 28-30, in Providence, RI. The cross-country trip is sponsored by BJ’s Restaurants Foundation and CRAF. 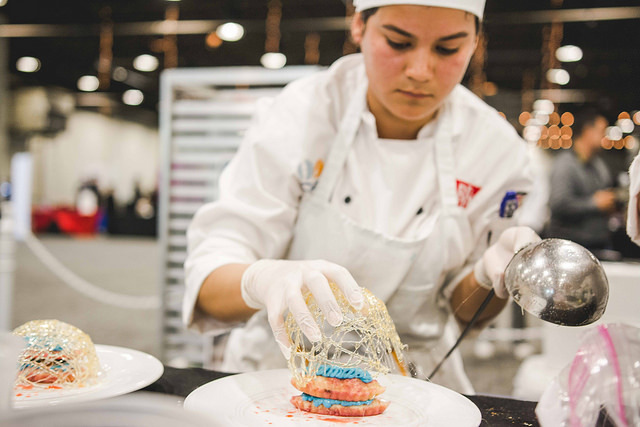 In the end, Madison High School took home the top prize for culinary with a menu of ceviche, pork tenderloin stuffed with chorizo and cilantro pistou, and salted caramel cremeux. Orange County School of the Arts took home the top prize for management with their restaurant concept, “Toy Box Restaurant”, a kid-friendly restaurant serving Southern comfort food. 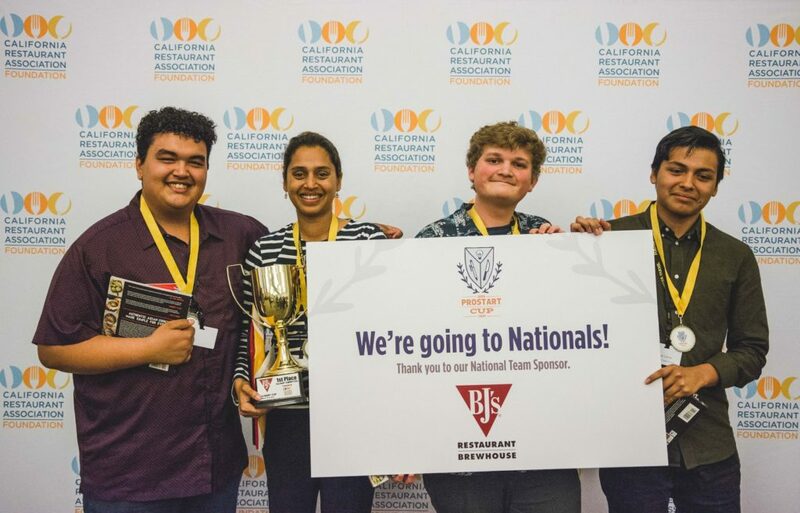 Orange County School of the Arts also took home the inaugural Omnivore Technologies Innovation Award for their ingredient and food allergy database app “Phone to Table”. The CRA Foundation supports more than 9,000 students across 134 high schools in the state through the ProStart® program. 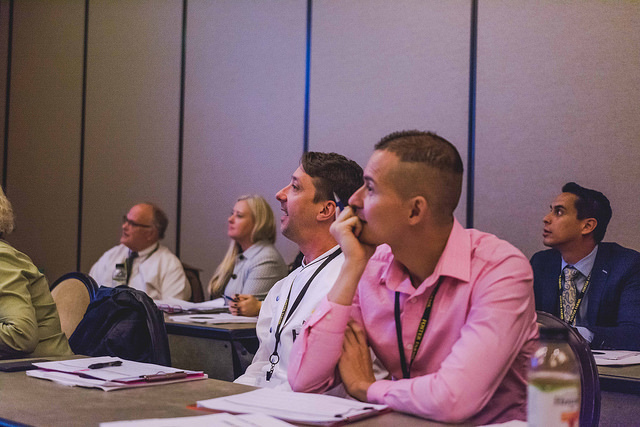 Year-round, the CRA Foundation unites the restaurant industry with the classroom through mentorships, guest speaking, fieldtrips and more. If you’re interested in getting involved, please visit www.calrestfoundation.org/getinvolved.